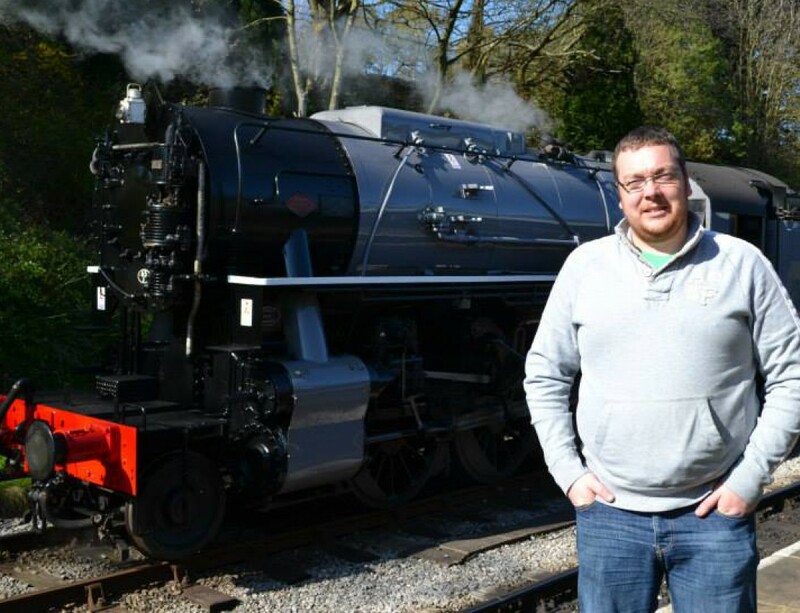 Rambles from a village cricketer about Cricket, Heritage & Model Railways, Ice Hockey and a few other things thrown in for good measure! Time For Some Green Fingers? As the weather starts to get better and the days are getting longer, I now have another project on the horizon, one that was started last summer. Early last summer Ellen and I decided that we wanted to give the garden a good crack and look at starting to grow some of our very own fruit and veg. In the past my Dad had grown lots of different Veg in our garden. Some successfully and some not so successfully. 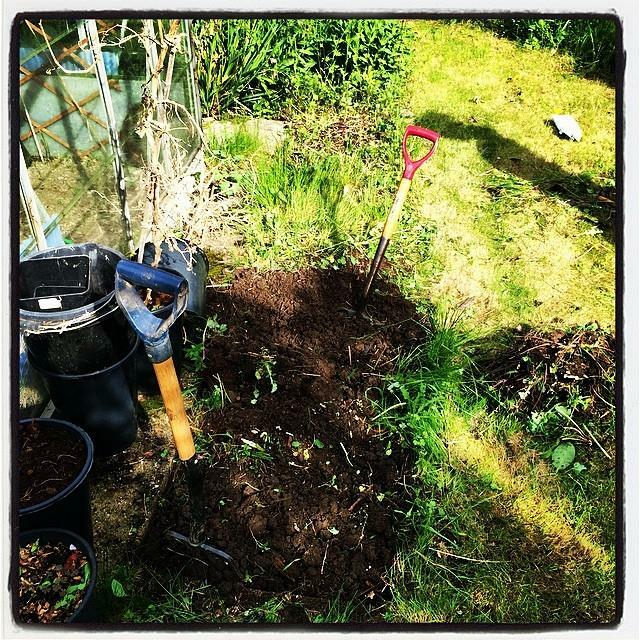 So to begin with we decided to just start by digging over a small border at the side of our greenhouse. When my Dad got older and found he couldn’t tend to the garden as much due to his ill health he decided make the garden pretty and put in lots of flowers that would come up annually and didn’t need too much looking after. The bed after a couple of afternoons hard graft. So Ellen and I began the task of removing the flowers, roots and all, and turn the bed into something we could have a go at growing some veg. It was very hard going with so many roots from all the plants that had been put in. 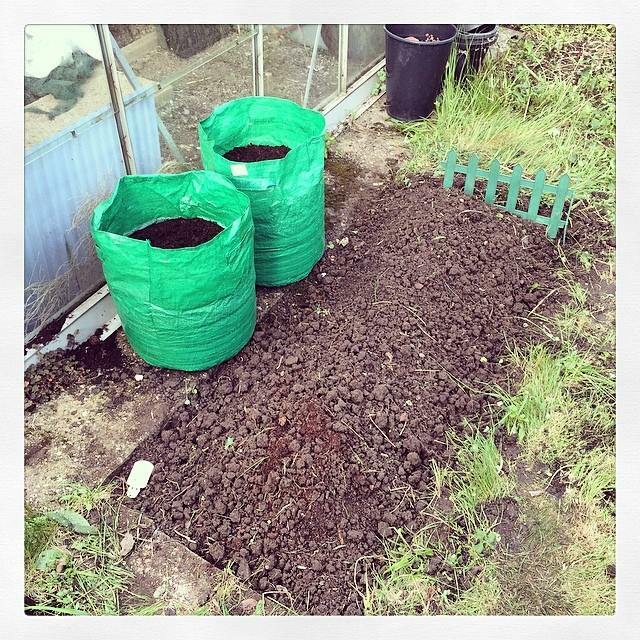 We had already decided that we were going to grow some potatoes in growing bags from the pound shop and after purchasing some home guards we got them all bagged up and settled in. 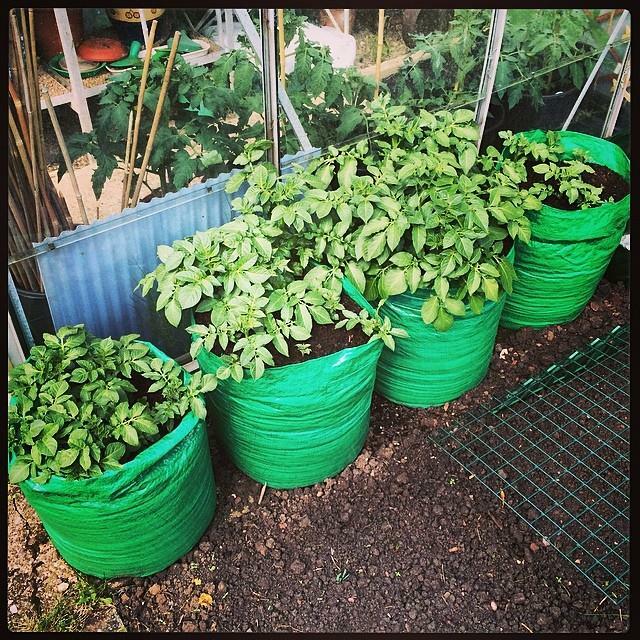 Potato Growing Bags from the pound shop are a nice easy way of getting to growing! Finally in the bed that we had cleared we grew some Shallots that had been reduced along with some Sweet Corn. 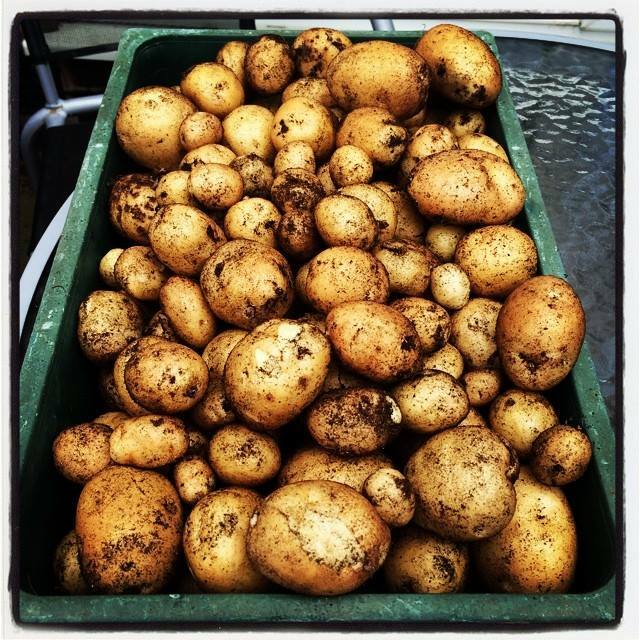 The first crop harvested were our Home Guard Early Potatoes which were fantastic and we had a really good crop. Home Guards, a great first crop, good yield too! The potato growing bags make it really easy to grow spuds and we were even able to use the same bags and soil for a late crop as well. I would certainly recommend using them to get started. You may not get as many potatoes as you would putting them in the ground but for us 4 bags worked perfectly. As the summer went on we found that everything seemed to grow well, even the beetroot after it had been attacked by slugs. We also came across some bonus crops with 3 rogue blackberry bushes and also a bit of scrumping from next doors apple trees. 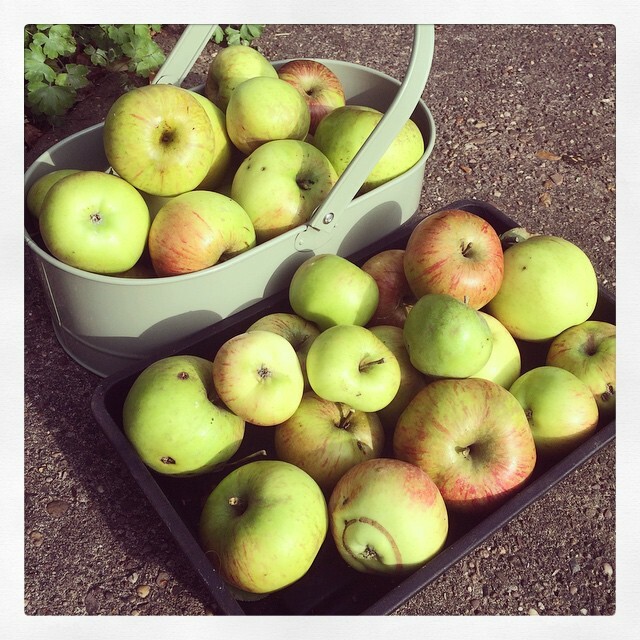 Nothing Wrong with a bit of Scrumping! The only veg we did struggle with was the Runner Beans and also the Carrots. The beans never pollinated properly after the flowers came out, so we never actually saw any beans appear despite the plants growing nice and tall. The carrots on the other hand never had space to grow in the bag and by the end of the summer we just had tiny mini carrots! So after so much success in our first year we are now starting to plan out for 2015. Although we do still have lots of work ahead as we try to get so more bed space, hopefully a few days off work will help with that. After taking out a subscription the Kitchen Garden Magazine we also have plenty of free seeds to have a go at. A slightly different view from Sabres fans in the UK 🇬🇧 & Europe 🇪🇺! In a world where gluten free, sugar free, tasteless snacks have become a thing. Where you have a DIY project every single day. Where play dates are scheduled 2 months in advance and each activity has to be planned and approved, here I am. Not giving a damn. The Journey of a 20 Stone guy trying to lose his belly and get fit! "My first attempt at railway modelling!"